Splashbacks are the perfect addition to a range cooker making it easier to wipe off cooking residue from your stir fry or bolognese sauce. Available in many different colours, finishes and sizes these are perfect for bridging the gap between your cooker and hood rather than having tiles which are far more difficult to keep clean. 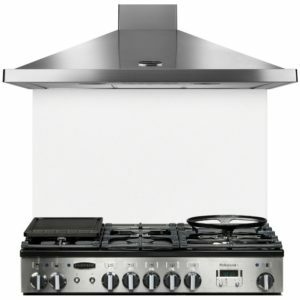 Easily wipe away cooking splashes and spills with this stainless steel splashback from Rangemaster. The LEISP110SS not only adds a finishing touch your kitchen but also provides a durable, easy to clean hygienic surface. Protect your wall from cooking splashes and spills with this grey glass splashback from Rangemaster. 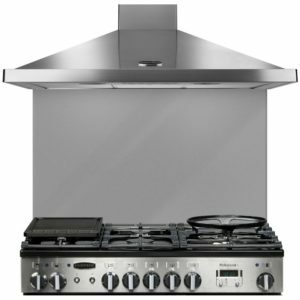 Designed to complement other Rangemaster products such as range cookers and cooker hoods it will give your kitchen a splash of style. 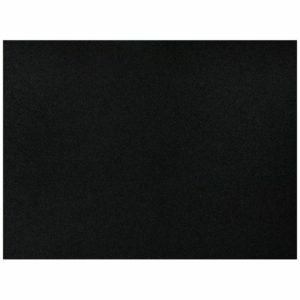 Protect your wall from cooking splashes and spills with this black glass splashback from Rangemaster. Designed to complement other Rangemaster products such as range cookers and cooker hoods it will give your kitchen a splash of style. 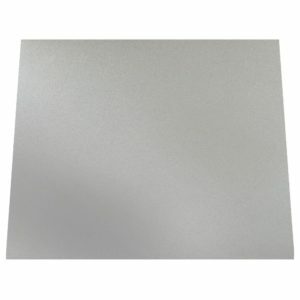 Protect your wall from cooking splashes and spills with this metallic silver glass splashback from Rangemaster. Designed to complement other Rangemaster products such as range cookers and cooker hoods it will give your kitchen a splash of style. 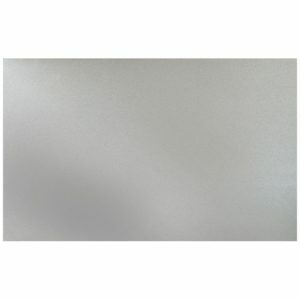 Protect your wall from cooking splashes and spills with this metallic white glass splashback from Rangemaster. Designed to complement other Rangemaster products such as range cookers and cooker hoods it will give your kitchen a splash of style. Easily wipe away cooking splashes and spills with the LEISP100SS stainless steel splashback from Rangemaster. It will add a finishing touch to your kitchen and provides a durable, easy to clean hygienic surface. Protect your wall from cooking splashes and spills with this splashback from Rangemaster. 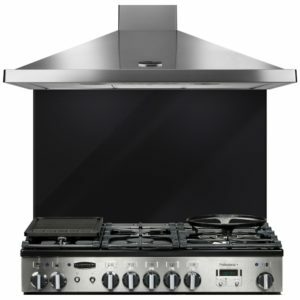 Designed to complement other Rangemaster products such as range cookers and cooker hoods the UNBSP90BL will give your kitchen a splash of style.